We see it everywhere: shady zoning regulations in a small town; taxpayer money diverted into political campaigns; deals that enrich the few at the expense of the many; billion-dollar bailouts; trillions of newly printed dollars flowing from government to Wall Street at giveaway interest rates; brand-name economists hired to defend the indefensible with a smokescreen of economic theory. When private interests need a political favor, they know whom to call. When politicians need money, they also know whom to call. The people involved try to keep most of it concealed behind closed doors. This is the system that prevails in Russia after the fall of Communism. But increasingly it is America's system as well. 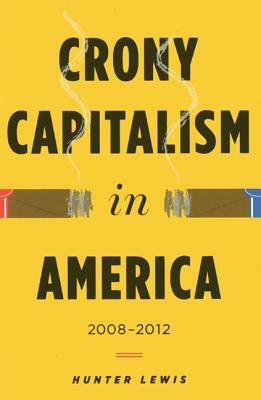 Many people regard Wall Street as the epicenter of American capitalism. In reality it is the epicenter of American crony capitalism. Where Wall Street stops and Washington begins is impossible to say. This situation was not caused, as many suppose, by the Crash of 2008. Rather the Crash was caused by the longstanding Wall Street Washington partnership. But the problem extends far beyond Wall Street to every corner of America. If we are going to do anything about our present economic problems, and also give the poor a chance at a better life, we will need to eliminate crony capitalism. Although full of hair-raising stories, this book is also about solutions. It tells us in clear and simple terms what is wrong and what needs to be done about it. Hunter Lewis, co-founder of global investment firm Cambridge Associates, has written seven books on economics and related subjects, including the widely acclaimed Are the Rich Necessary? ( Highly provocative and highly pleasurable New York Times) and Where Keynes Went Wrong. He has contributed to many newspapers and periodicals including the New York Times, the Times of London, the Washington Post, and the Atlantic Monthly, as well as numerous websites such as Forbes.com. He has served on boards and committees of fifteen leading not-for-profit organizations, including environmental, teaching, research, and cultural organizations, as well as the World Bank. ISBNs and titles of author's previous books: Where Keynes Went Wrong: And Why World Governments Keep Creating Inflation, Bubbles, and Busts, 978-1-60419-044-1; Are the Rich Necessary? Great Economic Arguments and How They Reflect Our Personal Values, 978-0-9753662-0-2;A Question of Values: Six Ways We Make the Personal Choices That Shape Our Lives, 978-0-9661908-3-0"